Some people call MJ's burgers "Simply the best damn burgers. Period". Now you have a chance to create your own! 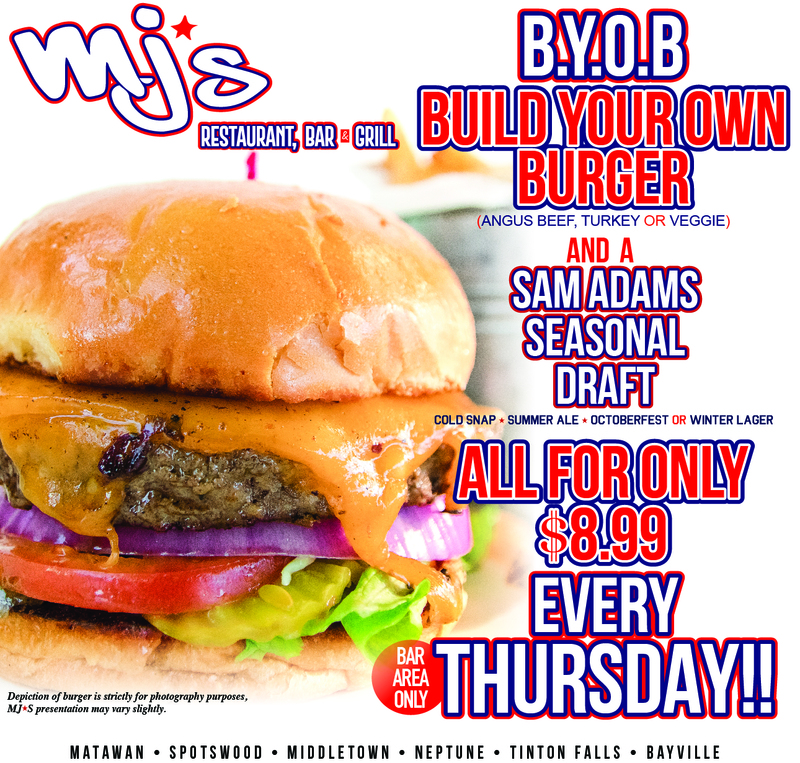 MJ's is offering BYOB (Build Your Own Burgers) - an angus beef, a turkey, or a veggie - and a Sam Adams Seasonal Draft for JUST $8.99 EVERY THURSDAY (at the bar area only!) How great does this sound? We know where we'll be going - MJ's Pizza Bar and Grill!